Metro 2033 Redux and Metro: Last Light Redux are being review bombed on Steam following the decision to make Metro Exodus an Epic Store exclusive. As a quick recap: Metro Exodus was listed on Steam since it was announced, benefiting from the exposure and other services the platform offers. 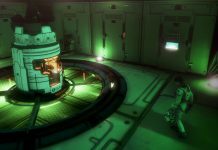 Then publisher Deep Silver announced that the game would no longer be available on Steam and would instead need to be purchased from the Epic Store. Epic takes a smaller cut of the profits compared to Steam with titles like Supergiant Games’ Hades only available there for the time being. While Metro Exodus will still be available on Steam to people who have already purchased it there, this move has been highly controversial and seen as a purely greed-driven move. 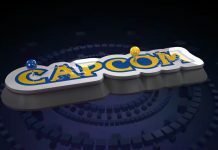 The game will eventually head to Steam a year after release, if you want to play the title when it releases you will need to go to the Epic Store and forgo its benefits like regional pricing (especially important for people like us in South Africa), no questions asked refunds and, of course, reviews. 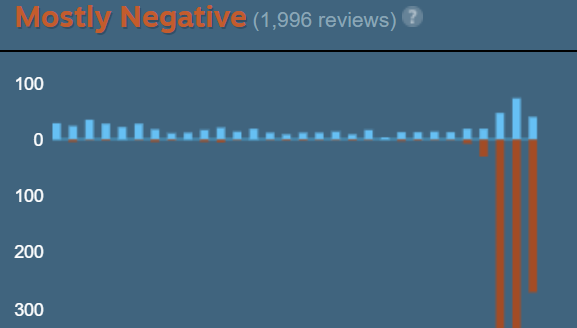 If you head to the store pages of either remaining Metro game you will see that the “Recent Reviews” criteria has fallen into the “Mostly Negative” standing despite the All Reviews remaining at “Very Positive”. 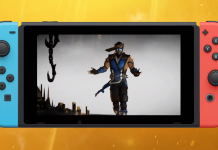 Scroll down to the review section at the bottom of the page and you’ll see that just about all of the new and negative reviews cite the Epic Store exclusivity. As this has happened for a variety of other reasons to other games in the past, Steam has put some effort into negating it somewhat. 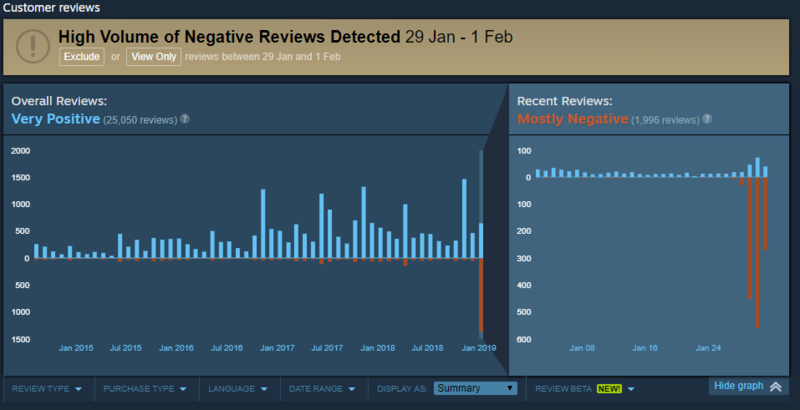 There is a large message above the reviews which reads “High Volume of Negative Reviews Detected” with the date range of the review bombing and a graph showing the sudden decline. Review bombing is a contentious topic to say the least. 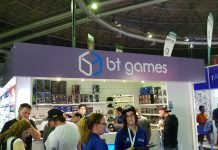 Some believe that it has no place on Steam as bad consumer practices have no bearing on the quality of the game, while others see it as one of the few ways people can protect themselves and others from anti-consumer behaviour. Regardless, Metro Exodus launches 15th February 2019 only on the Epic Store. 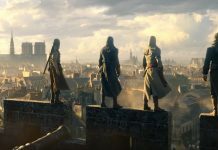 It will then be available on Steam after 14th February 2020. The warning message on the review section of Metro 2033 Redux. An almost identical one can be seen on that of Last Light.